CrossFit Workouts by our fallen heroes…. | Live To Win! CrossFit Workouts by our fallen heroes…. CrossFit IoTA is a great place to learn all about CrossFitting. I have looked over the website since I am new to this, and they have some great information. I praise them since they have taken the time to put together a list of fallen soldiers, police officers and firefighters who lost their lives. These individuals enjoyed the CrossFit way of training to keep themselves in tip top condition. Lt. Michael Murphy was one of those who enjoyed the work and dedication it takes to partake in CrossFitting. 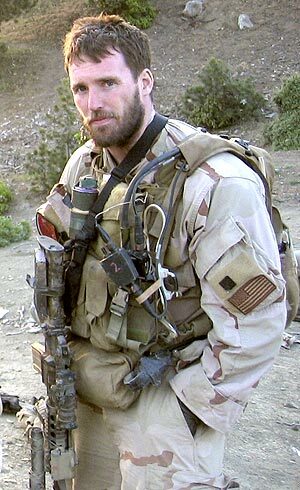 Lt. Murphy, a United States Navy Seal, gave his life to help his men during Operation Red Wings near Asadabad, Afghanistan. . He was a true American hero and his honor and courage are still recognized today. You may have seen the movie “Lone Survivor”, which is in theaters now. The movie is about the brotherhood of the US Navy Seals and the men that lost their lives on June 28, 2005. Nineteen were killed in action on that day including Lt. Michael Murphy, Matthew Axelson and Danny Dietz . They were killed on the ground as they were ambushed by Taliban insurgents. The only survivor of the group was Marcuss Luttrell, who suffered serious wounds. He was later rescued by a local Pashtun. I will be writing a blog later about their story and how it still effects Americans today. Partition the pull-ups, push-ups, and squats as needed. Start and finish with a mile run. If you’ve got a twenty pound vest or body armor, wear it. In memory of Navy Lieutenant Michael Murphy, 29, of Patchogue, N.Y., who was killed in Afghanistan June 28th, 2005. This workout was one of Mike’s favorites and he’d named it ‘Body Armor.’ From here on it will be referred to as ‘Murph’ in honor of the focused warrior and great American who wanted nothing more in life than to serve this great country and the beautiful people who make it what it is. Thank You again, CrossfitIoTA for recognizing these honorable heroes. ← Rise and Shine – Great Motivational Video to get you training! !